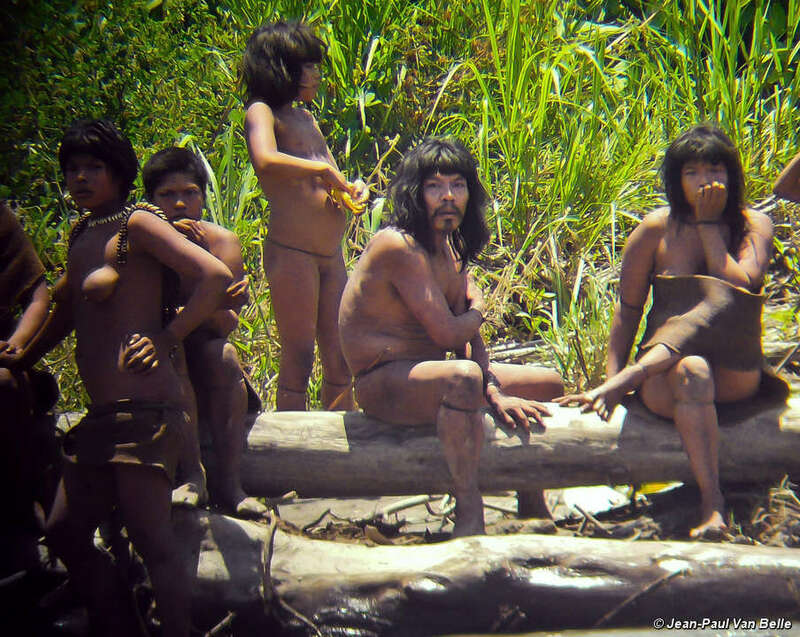 Survival International has released close-up pictures of uncontacted Indians, exactly a year after aerial photos from Brazil astonished the world. 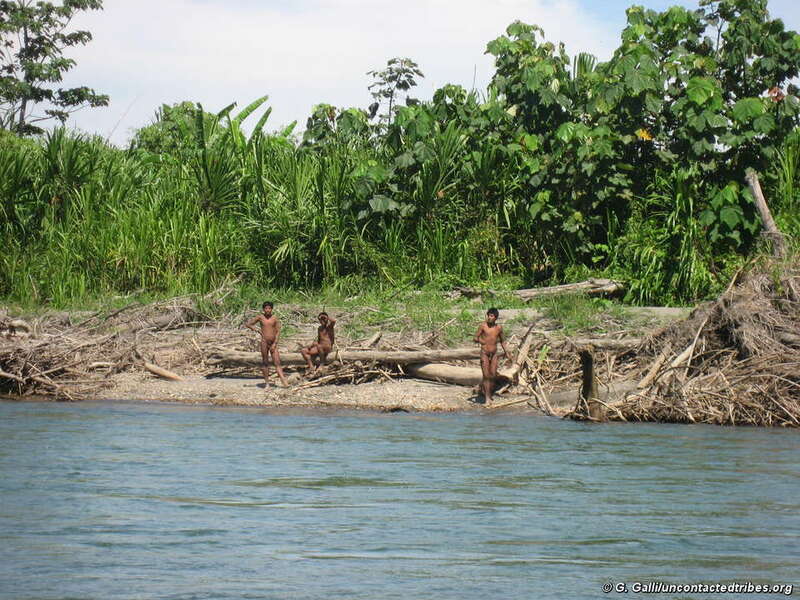 The new photographs taken in south-east Peru show an uncontacted family from the Mashco-Piro tribe. The Mashco-Piro are known to inhabit the Manú National Park, but sightings of them have increased in recent months. Many blame illegal logging in and around the park and low flying helicopters from nearby oil and gas projects, for forcibly displacing the Indians from their forest homes. 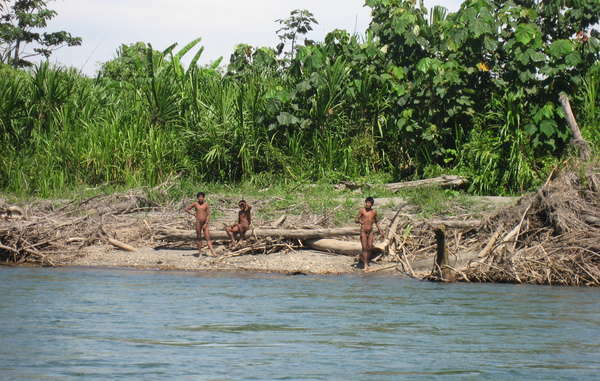 The Mashco-Piro are just one of around 100 uncontacted tribes in the world. Exactly this time last year, Survival’s release of pictures of a healthy community of uncontacted Indians in Brazil was widely reported. 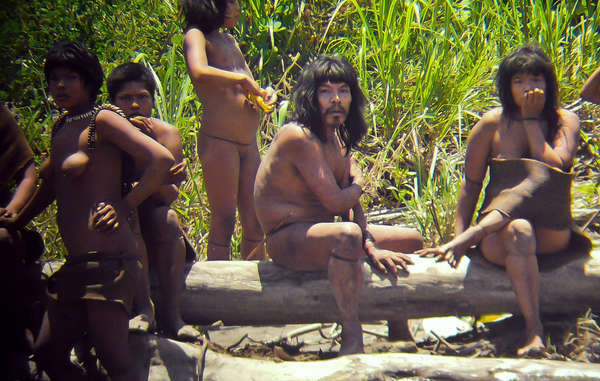 Today’s photos are the most detailed sightings of uncontacted Indians ever recorded on camera. This Mashco-Piro man is holding a wooden-handled knife tipped with a capybara tooth. But the danger of contacting tribes who choose to remain isolated was reaffirmed by the recent death of an indigenous Matsigenka man. 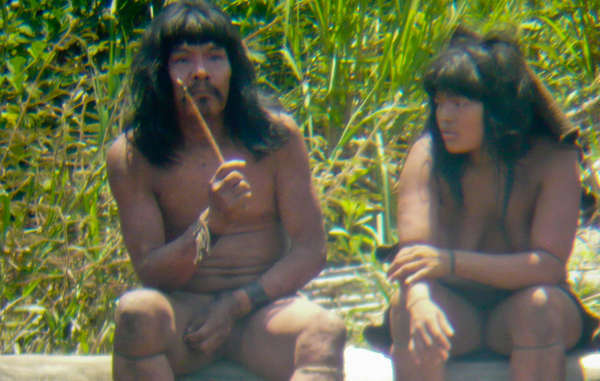 Nicolás “Shaco” Flores was shot by an uncontacted tribe’s arrow near the Manú National Park in Peru. He had been leaving food and gifts for a small group of Mashco-Piro Indians for the last 20 years. Glenn Shepard, an anthropologist and friend of the victim, wrote in his blog and in Anthropology News, ‘Shaco’s death is a tragedy: he was a kind, courageous and knowledgeable man. He believed he was helping the Mashco-Piro. And yet in this tragic incident, the Mashco-Piro have once again expressed their adamant desire to be left alone’. Nicolás “Shaco” Flores was killed by an uncontacted tribe in Peru after attempting to contact them. Beatriz Huertas, a Peruvian expert on uncontacted tribes, told Survival the case is ‘unusual, complex and extremely delicate’. Last year Survival wrote to SERNANP, Peru’s Ministry for Protected Areas, expressing its concern at a video showing tourists leaving clothes for the Indians on riverbanks. The area was subsequently closed off to tourists and an emergency warning issued to local residents. 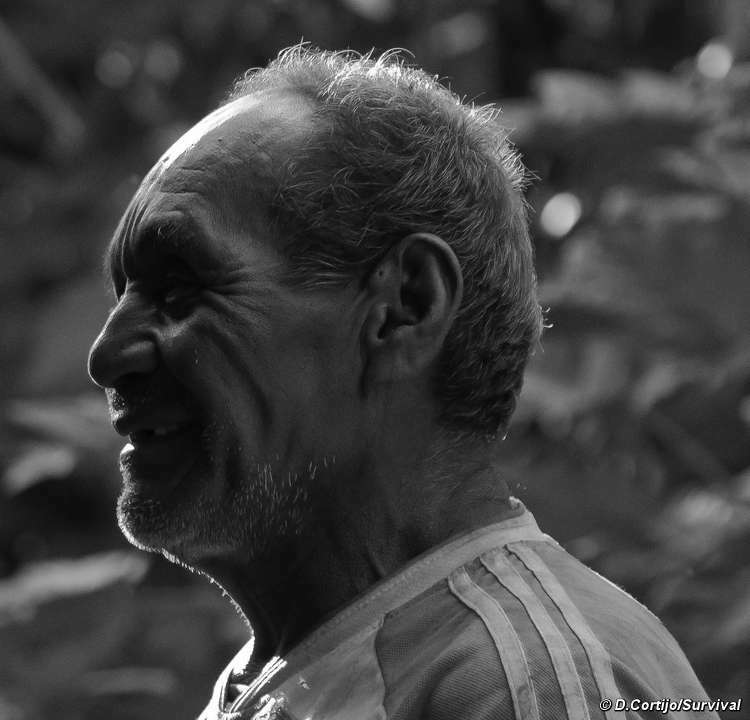 Many blame illegal logging in Manú National Park for displacing the Indians from their homes. Indian Affairs Department INDEPA plans to set up a guard post to protect both local people and the uncontacted group. Your efforts are crucial in defending the Uncontacted Tribes. Get involved in this urgent effort in the following ways. 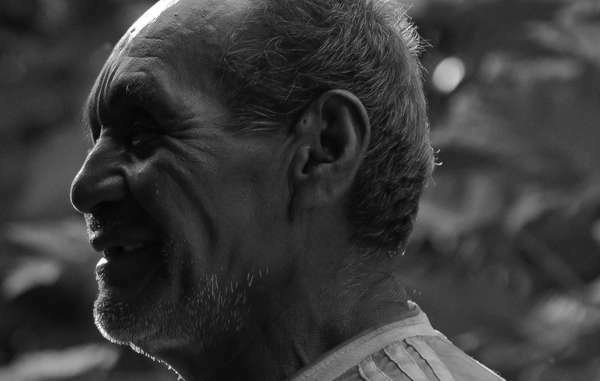 Writing a letter to the Peruvian government can make a real difference. Donate to the Uncontacted Indians campaign (and other Survival campaigns).